Home / News / The day is ours! Uralochka- NTMK team, which includes 10 USUE students, for the fifth time confirmed the champion title. 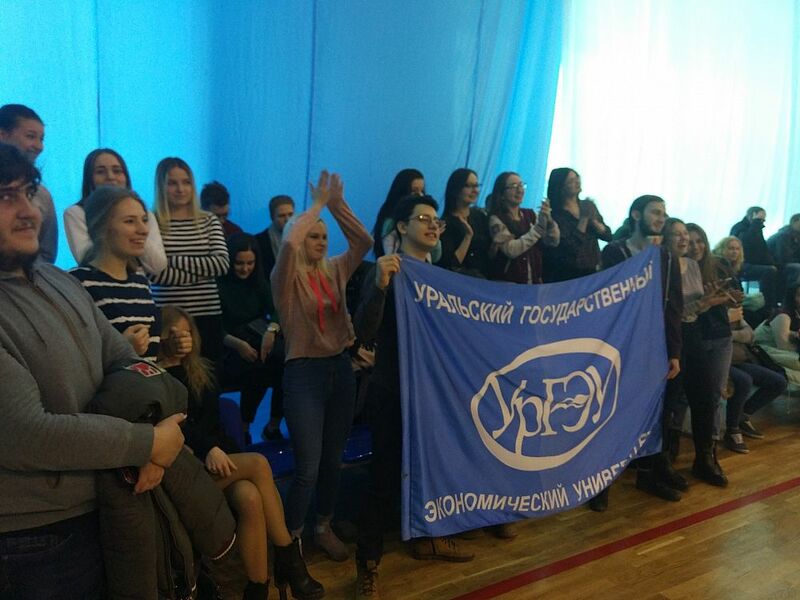 The other day, the sportswomen celebrated the victory in the final games of the Youth Volleyball League. At the final stage, Yekaterinburg players gained the upper hand over the rivals from Moscow Dynamo, Chelyabinsk Dynamo- Metar, and Krasnodar volleyball players from the same sports club having lost only to Kazan Dynamo-Academy-UOR. 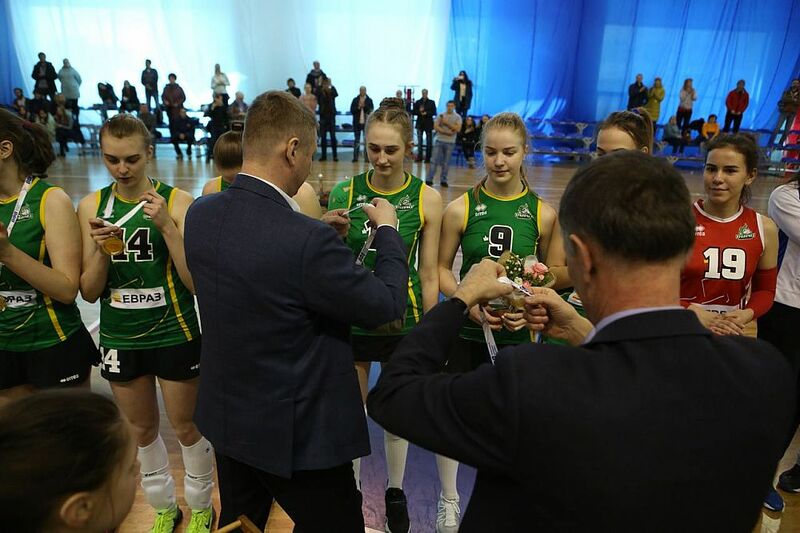 This title became for the Uralochka already the fifth one in the history of the club. 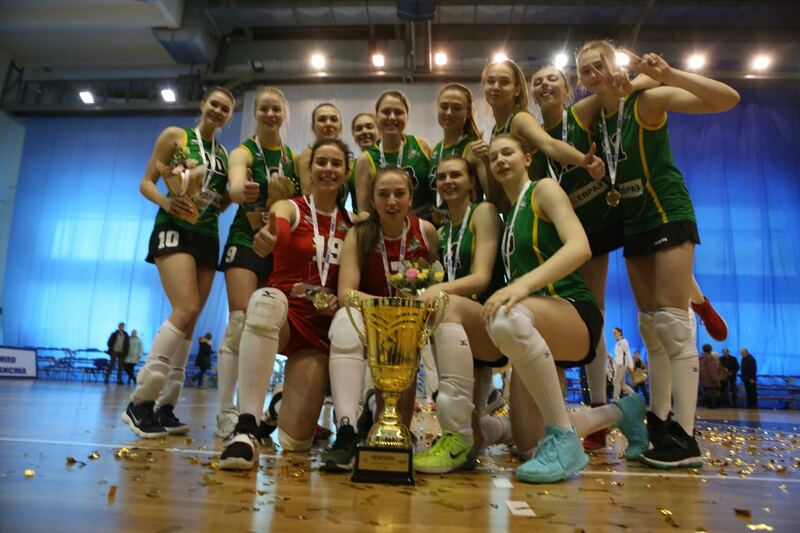 Among the best players of the championship are several members of the Sverdlovsk team: the hitter Valentina Bachinina, the setter Anastasia Gudova, and the libero Polina Trukhina. 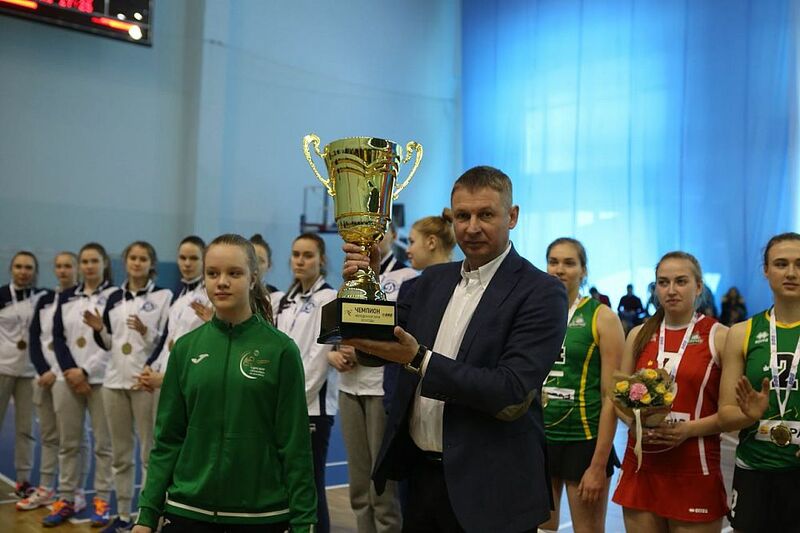 Shortly before, young Yekaterinburg athletes born in 2003 won the gold medal in Russia championship for middle-school-age students held in Cherepovets. “I am very glad that the majority of our current girl-players and those who became Olympic champions several years ago chose to study at the leading economic university of the country - Ural State University of Economics. This long tradition dates back to the 1970s. Then, the SINH Rector positively responded to the proposal to cooperate made by the legendary coach Nikolai Karpol. Today’s Rector of the University Yakov Petrovich Silin fully supports the tradition. We are constantly invited to meetings with the administration and students. It is always a pleasure to see a support group in the stands with the familiar blue flag and the inscription "USUE" ... And, of course, the knowledge given by university lecturers were not in vain for us. 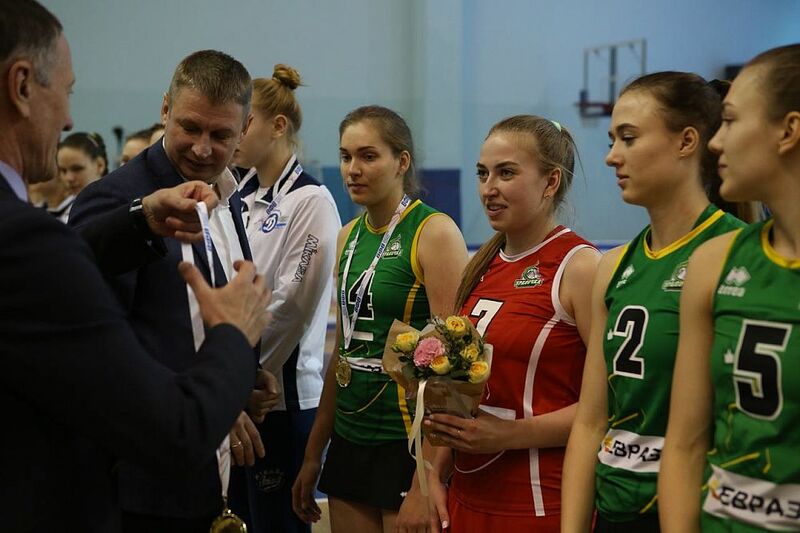 There are many Uralochka athletes who, after a brilliant sports career, successfully realized themselves in the profession they had received,” Valentina Ogienko, a volleyball coach, Olympic champion, 4-time European champion, 5-time USSR champion, and a USUE graduate, said.